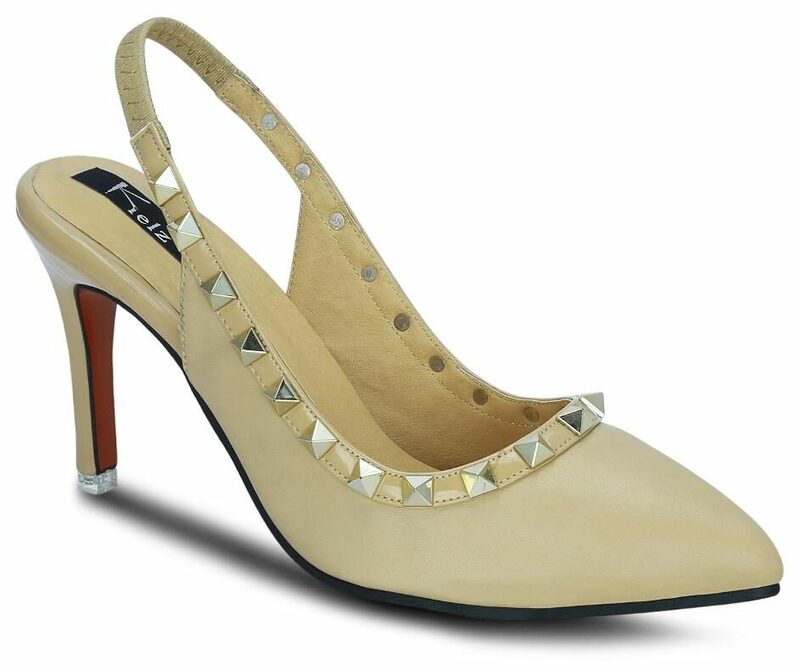 Displaying A Minimalistic Design;These Tan Stilettos By Kielz Exude An Urbane Feel. Featuring A Synthetic Upper With Rivet Detailing And Pointed Toes;These Slip-ons Have A Cushioned Footbed To Ensure Ultimate Comfort For Your Feet. The Resin Outsole Further Assures Outstanding Durability.